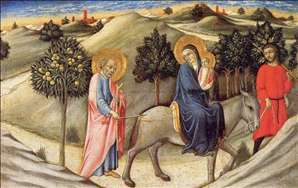 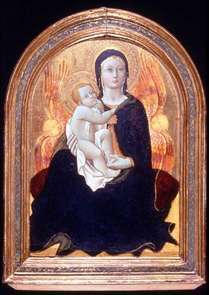 Italian painter and illuminator, active in Siena, where he was pupil and follower of Sassetta. . 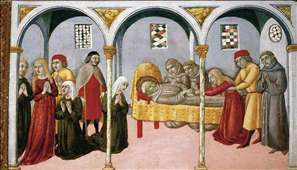 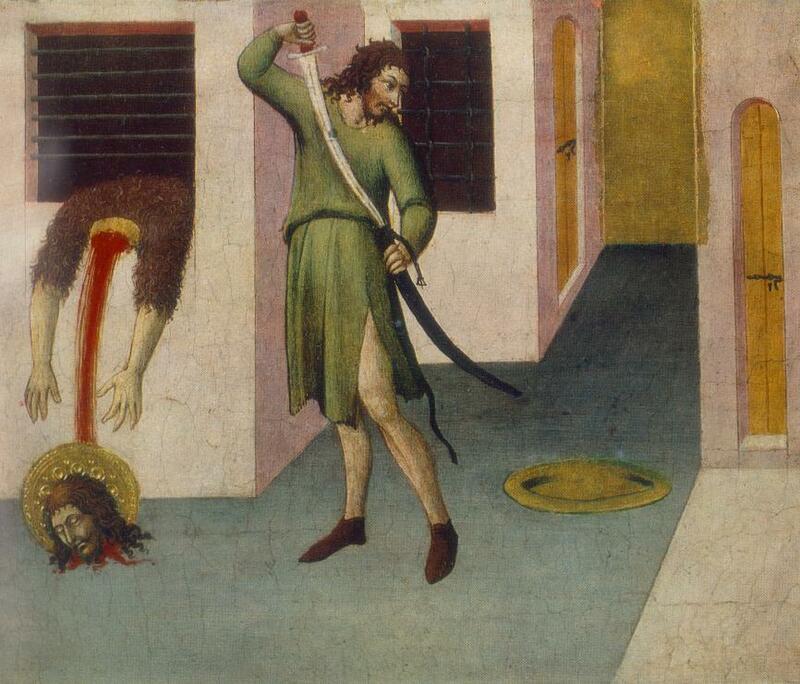 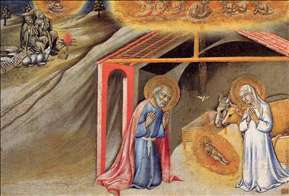 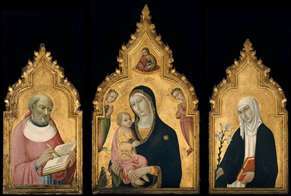 In 1428 he was listed in the guild of painters in Siena just before Sassetta. 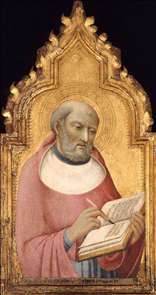 The same year he was paid for gilding and colouring a Baptism (untraced), possibly Sassetta s design for the Siena Baptistery font made in 1427. 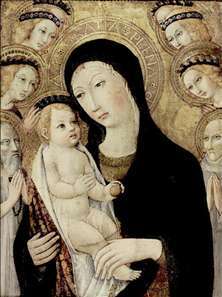 In 1432 he assessed Sassetta s Virgin and Child with Saints (the Madonna of the Snow; Florence, Pitti), and after Sassetta s death in 1450, Sano completed works left unfinished by him, including the fresco of the Coronation of the Virgin over the Porta Romana (145866), Siena, and the St Francis (Siena, Pinacoteca Nazionale). 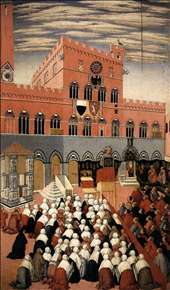 He painted many scenes from the life of St Bernardino, including St Bernardino Preaching in Siena Cathedral. 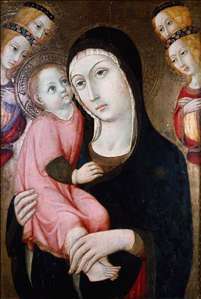 See more details about "Madonna of Humility"
See more details about "Donna Perna Being Cured on Approaching St Bernardino's Body"
See more details about "Madonna and Child with Sts Anthony Abbott and Bernardino of Siena"
See more details about "Beheading of St John the Baptist"
See more details about "St Bernardino Preaching in the Campo"
See more details about "Virgin and Child with Four Angels"